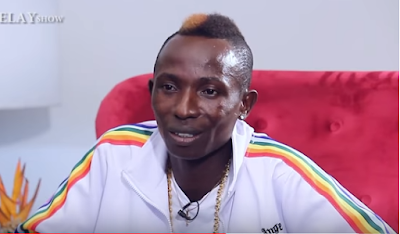 Justice Amoah aka Patapaa is still in the news after his Vodafone Ghana Music Awards drama. This time, he is not talking about awards – he has said in an interview with Delay on the Delay Show that he doesn’t take alcohol. In the interview he revealed that that until recently he was a bar tender at his mother’s pub at Agona Swedru in the Central Region but had never taken alcohol before, except Guinness. “I don’t take alcohol, I only drink what you drink; that’s Guinness,” he said. Amused by his answer, Delay further asked if he smoked marijuana popularly known as ‘wee”. “I don’t know anything called ‘wee’. In school, what I was taught as “we” was “w-e” meaning all of us. I don’t know what is “wee,” he said. Patapaa became popular when he performed his ‘One Corner’ song at Akwambo Festival at Agona Swedru. The song which came with its dance of gyrating at objects broke boundaries into countries like Nigeria.